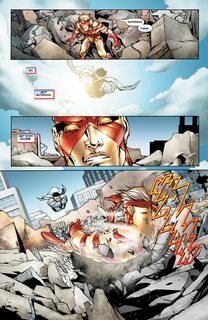 Captain Atom – Armageddon #1 – 9 (2005-2006) : Captain Atom finds himself trapped in the Wildstorm Universe. 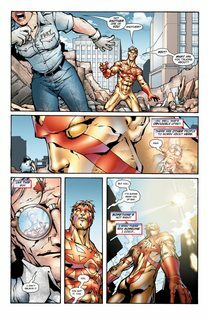 When he tries to find help, he finds that people in this world are afraid of Super-Powered-Beings. As he encounters several of the WSU characters, he begins to understand why. To make matters worse, his presence threatens to destroy the entire WSU. But there is a new host for the Void entity and she may hold the key to getting Captain Atom home and saving the WSU.